​Our newsletter is published at the beginning of the month. Here are your headlines from the month of August. 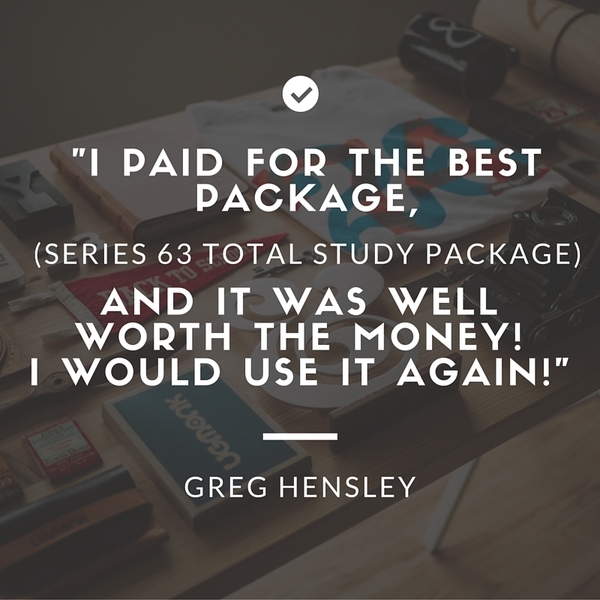 "I paid for the best package (Series 63 Total Study Package), and it was well worth the money! I would use it again!" Congratulations Sakisha J., this month's Study Question of the Month winner! *September's Study Question has been posted! 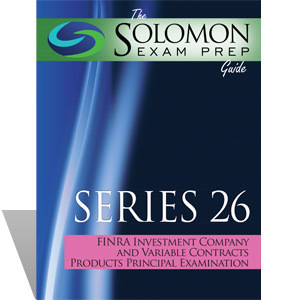 Solomon Exam Prep is excited to announce the launch of the Solomon Exam Prep study program for the Financial Industry Regulatory Authority’s (FINRA) Series 26 Investment Company and Variable Contracts Products Principal Examination (http://www.finra.org/industry/series26). Solomon Exam Prep’s study program consists of an Exam Study Guide, Online Exam Simulator, and Audiobook.